Les vins de Fran�ois Servin sont r�guli�rement �toil�s dans le Guide. 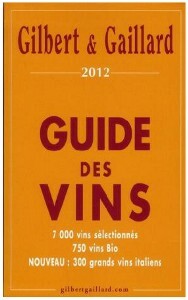 Apr�s Les Clos, Bougros et Les Preuses, c'est le Blanchot 2010 qui est � l'honneur dans cette nouvelle �dition du Guide. Un grand cru qui se distingue surtout par sa vivacit�. Min�ral et fruit�, agr�ment� de notes de noisette, le nez est tr�s �l�gant. La bouche est gourmande et bien cisel�e, avec une min�ralit� qui respire la franchise. L'�levage en cuve n'est pas �tranger � cette puret�. Un vin bien dans son mill�sime. Un joli patrimoine de vignes sur Chablis, des vendanges m�caniques ou manuelles selon les crus, et seules quelques cuv�es pass�es en f�ts (le Chablis Vieilles Vignes pour moiti�, les Clos totalement par exemple) : cela donne des vins riches, puissants, parfois plus c�te d'oriens que chablisiens, selon le go�t de Fran�ois Servin. 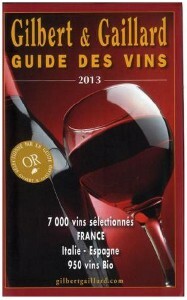 Apr�s les bons 2010, encore disponibles sur certaines r�f�rences (notamment la remarquable cuv�e de vieilles vignes de Pargues), 2011 se r�v�le gourmand avec de la tension. El�gant, entre fruits blancs et subtiles notes iod�es (coquille d'hu�tre), bouche pure o� la min�ralit� arrive progressivement. Gourmands ar�mes de fruits exotiques bien m�rs (ananas), le bois� est encore l� mais apporte sa richesse et sa part d'ar�mes grill�s, style puissant et assis. 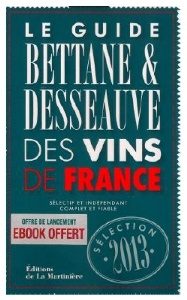 Belle �paisseur de vin, de la profondeur avec une subtile finale l�g�rement fum�e. Persistant, issu d'un raisin de haute maturit�. 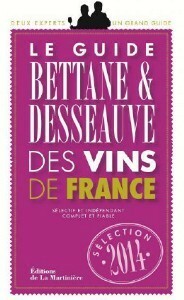 Cette cuv�e de vieilles vignes brille dans ce beau mill�sime, la bouche est dense et tr�s savoureuse, avec une texture onctueuse raffin�e. Parfums expressifs de racines et de fleurs, bouche gourmande, texture enrob�e, on croque dedans. 2012 Domaine Servin Chablis Les Preuses 93-95 : A massive, powerful wine, the 2012 Chablis Les Preuses boasts serious depth and richness, yet remains incredibly tight and unexpressive. It clearly has great concentration of fruit allied to equally imposing structure. Today the Preuses is showing just the barest hint of its full potential. Bright, saline infused notes intermingled with floral scents, graphite and citrus leave a lasting impression that won't go away anytime soon. 2012 Domaine Servin Chablis Les Clos 91-94 : The 2012 Chablis Les Clos is a little bit more aromatically nuanced, understated and layered than the Bougros. An elegant, refined wine, the 2012 just needs time to absorb its oak, but it is without question highly promising. Lemon, white flowers, crushed rocks and spices are all woven into the subtle, gracious finish. I can't wait to taste this again next year. There is a lot of potential in this very young Clos. 2012 Domaine Servin Chablis Bougros (US Label Bougerots) 92 - 94 : The 2012 Chablis Bougros is striking. A wine of volume and breadth, the 2012 flows across the palate in all directions, showing superb depth and class. Vinification and aging in oak give the Bougros much of its volume, but without detracting in any way from the wine's balance and overall harmony. A rich, creamy finish rounds things out beautifully. The personality of Bougros seems particularly well suited to the fermentation and aging regime in oak. This is yet another terrific 2012 from Servin. 2012 Domaine Servin Chablis Blanchot 91-94 : An exotic bouquet laced with white truffles, honey and nutmeg meld into tangerine, lychee and ripe pear notes in the 2012 Chablis Grand Cru Blanchots. Even though it was aged exclusively in tank, the Blanchots possesses tremendous richness and sheer power. It is also wonderfully open and expressive, even at this early stage. The Blanchots is decidedly big and broad-shouldered, but it also has enough depth to make me think it will drink well relatively early for a Grand Cru. 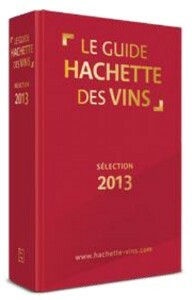 2012 Domaine Servin Chablis Vaucoupin 91-93 : The 2012 Chablis Vaucoupin is an addition to the Servin range. And what an addition it is. Smoke, graphite and all sorts of soil-inflected nuances blossom in the glass in this deeply expressive, resonant Chablis. A wonderfully layered and harmonious wine, the Vaucoupin is easily one of the highlights in this range. The deep, generous finish is particularly of note. 2012 Domaine Servin Chablis Butteaux 90-92 : Bright grapefruit, lemon and white floral notes inform the 2012 Chablis Butteaux . Here, too, there is plenty of energy and pure vibrancy in the glass. Tightly wound and focused, the 2012 is another Servin 1er Cru that is likely to require a measure of patience. 2012 Domaine Servin Chablis Montee de Tonnerre 91-93 : Servin's 2012 Chablis Montee de Tonnerre reluctantly emerges from the glass with scents of tangerine, honey, mint, succulent yellow peaches and smoke. Subtle and nuanced, the 2012 impresses for its terrific overall balance and complexity I imagine the 2012 will drink well pretty much right out of the gate. It is already pretty delicious, to tell the truth. Hints of smoke and gunpowder linger on the brilliant finish. 2012 Domaine Servin Chablis Vaillons 90-92 : A wine of total subtlety and finesse, the 2012 Chablis Vaillons wraps around the palate with notable textural grace and finesse. There is a softness and level of detail in the Vaillons that is unusual for the year, but quite welcome. Understatement and elegance come to mind as apt descriptors for the 2012 Vaillons. What a gorgeous, beautifully delineated Chablis this is. 2012 Domaine Servin Chablis Premier Cru Mont de Milieu 90 : The 2012 Chablis Mont de Milieu, another addition to the range, is attractive, even though it seems to still be showing some of the effects of its recent bottling. Tangerine, white flowers, honey and mint all swirl around in a wine with considerable potential. Today, the Mont de Milieu is a bit closed down. It will be interesting to see if further bottle age makes a difference, but my instincts say Servin quite understandably needs a few years to get a hang of working with this fruit. 2012 Domaine Servin Chablis Les For�ts 89-91 : Smoke, graphite, crushed rocks and lemon are some of the notes that emerge from the 2012 Chablis Les Forets. An incredibly tight, powerful wine for the year, today the Vaillons is showing just a portion of its potential. There is plenty to look forward to, but readers will have to be patient. The energy and focus of the finish bode well for the future. 2012 Domaine Servin Chablis Les Pargues 88-90 : The single-vineyard 2012 Chablis Les Pargues is rich, layered and impeccable. Smoke, slate, peach and apricot notes flesh out in a surprisingly broad-shouldered Chablis. There is a lot going on in a wine that overdelivers relative to its peers. Today, the 2012 appears to have the depth, density and structure to drink well for a number of years. 2012 Domaine Servin Chablis Vieilles Vignes Selection Massale 88-90 : Lemon, pastry, spice notes lead to an expressive core of fruit with slightly tropical overtones. Partial aging in oak gives the 2012 Chablis Vieilles Vignes Massale much of its volume, breadth and creaminess. Despite its mostly seamless texture, there is plenty of underlying structure supporting the fruit. 2012 Domaine Servin Petit Chablis (US label Sur les Clos) 88 : The 2012 Petit Chablis is an attractive, entry-level offering from Domaine Servin. White-fleshed fruit and floral notes meld together in a delineated, very nicely focused wine with a lot of near-term appeal. This is as high-class as Petit Chablis gets. Robe jaune clair. Nez sur le fruit (fruits blancs, amandes), fond floral (ch�vre-feuille). Un Chablis ample, qui associe corpulence et vivacit�. Les parfums sont nets et typ�s avec une dominante citronn�e plaisante. Typ� et r�ussi. Robe d'un bel or, lumineuse. Nez fin, aux accents amandes, aub�pine, note min�rale et champignon. Bouche tendre, d�licate, aux parfums subtils et fins, encore un peu sur la r�serve. Potentiel certain. Belle typicit� chablisienne en devenir. Robe dor�e. Nez fin, �voquant le min�ral, le champignon, le fruit blanc, l'amande, parfums floraux apr�s a�ration. Un grand cru jeune et prometteur. Mati�re g�n�reuse, tout en rondeur et gras, subtilit� min�rale, finale beurr�e. El�gance et puissance. Ce domaine dispose d�un joli vignoble sur Chablis. Les vendanges sont m�caniques ou manuelles selon les crus, et seules quelques cuv�es sont pass�es en f�ts (le Chablis Vieilles�Vignes pour moiti�, Les Clos et Bougros totalement, par exemples). 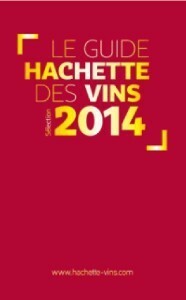 Cela donne des vins riches, puissants, parfois plus c�te d�oriens que chablisiens selon le go�t de Fran�ois Servin. 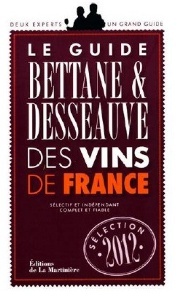 2010 est sans surprise sup�rieur � 2009, les beaux terroirs d�marrent discr�tement ce qui gage de grande �volution. Pour en mesurer le potentiel, nous avons fait cette ann�e un verticale fort int�ressante de Mont�e de Tonnerre, o� Fran�ois Servin a g�n�reusement d�bouch� 19 bouteilles, remontant � 1962. Une robe typique du Chablis : dor�e � reflets verts. Un nez concentr� autour du fruit agr�ment� de quelques notes de miel. Une bouche gourmande sur le fruit m�r (coing, mangue) avec beaucoup de mati�re et une belle longueur. Un vin dense et g�n�reux, m�me s'il lui manque cette min�ralit� qui lui apporterait un peu de fra�cheur; il peut �tre servi d�s � pr�sent avec un filet de bar � la cr�me de c�pes accompagn� de sa polenta. Toute l'expression d'un grand Chablis dans ce Bougros 2009: richesse, longueur et min�ralit�. Un vin gourmand, un "vin plaisir", comme Fran�ois Servin sait les �laborer. Me nez s'ouvre sur le fruit bien m�r avec des notes �pic�es, lesquelles se prolongent en bouche pour soutenir la g�n�rosit� de la mati�re. Sans oublier ce trait de min�ralit� qui ajoute de la longueur et de la complexit�. A servir sur une viande blanche dans deux � quatre ans. Tr�s r�ussi, un vin gourmand parce qu'il repose sur la m�me maturit�, avec plus de rondeur que d'acidit�. Une bouteille �quilibr�e avec un beau potentiel � venir. Robe d'un beau jaune clair. Nez fruit� bien m�r. Bouche dont la richesse, la douceur contrastent avec une touche de vivacit�. On appr�ciera ce Chablis bien frais. Robe jaune clair. Nez net associant notes citronn�es et min�rales. Bouche droite, nette, dont on appr�cie la fra�cheur, la vivacit� et la min�ralit�. Un 1er cru � oublier quelques ann�es. Robe jaune clair. Nez fin qui s'ouvre � l'a�ration sur de d�licates notes min�rales, grill�es, touche de champignon frais. En bouche des qualit�s d'ampleur, de soyeux, de fra�cheur. L'ensemble est a�rien, long. Un mill�sime plein de charme. � Un vin � l�image du mill�sime �, r�sume un d�gustateur. En effet, Fran�ois Servin propose un chablis � solaire �, riche, plein et vineux mais avec la fra�cheur n�cessaire � l��quilibre. Une fra�cheur toute chablisienne d�agrumes et de coquille d�hu�tre, qui affleure au nez comme en bouche. Bref, un 2009 bien typ� et harmonieux pour un saumon au beurre blanc. Chablis Grand Cru Bougros 2008 Vin r�ussiPlus souvent distingu� pour ses grands crus Les Clos, le domaine Servin est s�lectionn� pour son Bougros. Malgr� un �levage en f�t de douze mois, point de notes bois�es au nez, mais la cire d�abeille et les fleurs blanches. 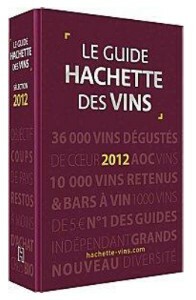 La bouche, plus discr�te en ar�mes, pla�t par sa vivacit� et ses nuances iod�es qui permettront � ce vin de se bonifier pendant les trois ou quatre ans � venir. Ce domaine dispose d�un joli vignoble sur Chablis. Les vendanges sont m�caniques ou manuelles selon les crus, et seules quelques cuv�es sont pass�es en f�ts (le Chablis Vieilles�Vignes pour moiti�, Les Clos et Bougros totalement, par exemples). Cela donne des vins riches, puissants, parfois plus c�te d�oriens que chablisiens, selon le go�t de Fran�ois Servin. En 2009, les entr�es de gamme sont harmonieuses, les premiers et grands plus en retrait, mais peut-�tre n�est-ce qu�une phase temporaire.